Oskar Fischinger invented a contraption called the Lumigraph that could generate chromatic display by using hand movements. On Oskar Fischinger's 117th Birthday, google doodle lets users experiment with audio-visual sound. 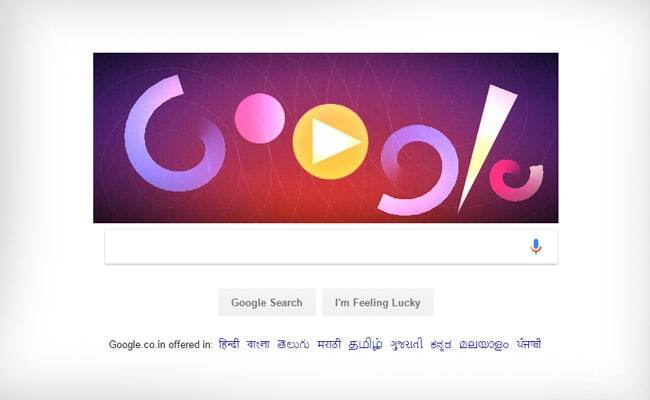 Google celebrated Oskar Fischinger's 117th birthday with a creative audio-visual doodle that lets you create music by a tap on the screen. Fischinger, popularly known for his work in visual music in films from the 1920s to 1940s, excelled in the world of design. Visual music aside, he contributed to the area of motion graphics and animation. He was best known for his abilities to synchronize abstract visuals with musical accompaniment. He was often referred to as the master of motion and color. Fischinger is said to have spent months and maybe even years, handcrafting and planning out his works of animation. Apart from being popular for his work in films, Fischinger was also a great painter. His style would often capture dramatic movement. He was often unsatisfied with the way traditional media worked. He also created film-flip books in the 1970s that depicted motion along with movement. Fischinger invented a contraption called the Lumigraph that could generate chromatic display by using hand movements, a sort of optical painting in motion. This was a precursor to the interactive media and multi-touch games that are widely played today. The doodle tries to take from Fischinger's idea of experimenting with audio-visual sound. With a tap, you can switch instruments and create notes that can later be played back and even shared. It lets one experience a sense of visual music that can be created and personalised, inspiring to dwell into the essence of Oskar Fischinger.